“If they had wanted to, they could have gone back to the good things of this world. But they didn’t want to. They were living for heaven. And now God is not ashamed to be called their God, for he has made a heavenly city for them” (Hebrews 11:15-16 TLB). Heaven changes everything about how you live today. If you’re headed to Heaven (and after yesterday’s devotional, I hope you are), then that reality should impact how you live here on Earth. Your value system changes. Instead of living for the here and now, you’ll live for eternity. You can also live knowing your future is secure. No matter what happens on Earth, you’ll spend an eternity with God in a place more amazing than anywhere you’ve ever been in this life. So how should you live if you know your eternal destination is Heaven? Don’t be distracted by temptation. “Dear brothers, you are only visitors here. Since your real home is in heaven, I beg you to keep away from the evil pleasures of this world; they are not for you, for they fight against your very souls”(1 Peter 2:11 TLB). You can be distracted by lots of things — both good and bad. Stay focused on what’s of eternal significance. Delay gratification. Our society tries to get you to do just the opposite. Stay focused on what’s ahead. Don’t be discouraged by trouble. “So we don’t look at the troubles we can see now; rather, we fix our gaze on things that cannot be seen. 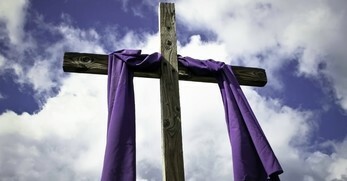 For the things we see now will soon be gone, but the things we cannot see will last forever”(2 Corinthians 4:18 NLT). When you live in light of eternity, trouble just doesn’t bother you as much anymore. You know troubles won’t last forever, so you simply don’t give up. Focus your energy on what will last. “Let heaven fill your thoughts; don’t spend your time worrying about things down here” (Colossians 3:2 TLB). Fulfill the purposes of God in your life. Live a life of worship. Build relationships with God’s people. Invest your time in becoming more like Jesus through discipleship. Serve others with abandon. Tell people about Jesus. Those activites last forever. You were made for Heaven. 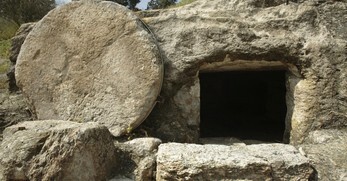 If you’ve made Jesus the boss of your life, you’ll spend eternity there. Let that truth sink in for a moment. Then let it change your life. What temptations most distract you from matters of eternal consequence? What are some “good” things that can distract you from what God wants to do through you? What short-term troubles are causing you stress right now? How can focusing on eternity change your perspective on them? For more Daily Hope with Rick Warren, please visit pastorrick.com! Share God’s Word with a child – and give them the keys to a good life! One of the greatest ways to fulfill the Great Commission is to share Jesus and God’s Word with the children in your life. And there’s now a great tool to help do that—Pastor Rick Warren’s brand-new book, God’s Big Plans for Me Storybook Bible. This 223-page, full-color hardcover children’s version of God’s Word shares key Bible stories along with the 40 foundational principles of the #1 New York Times bestseller, The Purpose Driven Life. And it’s written in a way that’s easy for even the youngest readers to understand. 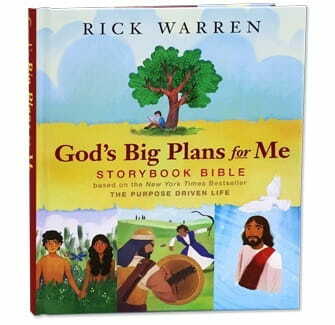 God’s Big Plans for Me Storybook Bible is available as our thanks for your gift below—but only for a limited time. This offer ends April 3. So when you give today, be sure to request your copy of God’s Big Plans for Me Storybook Bible to bless a child in your life, or to give to a neighbor, coworker or friend. And thank you for giving today to help more people learn, love, and live the Word through Daily Hope! 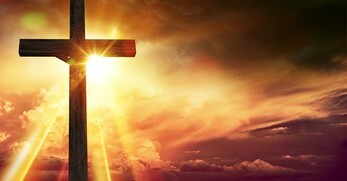 You can listen to Rick Warren on OnePlace.com. Originally published April 03, 2018.